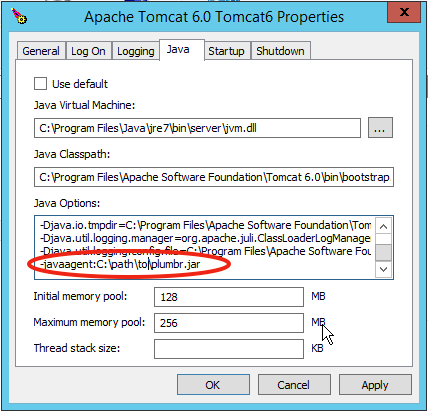 The following installation guide is using Tomcat as an example. When installing Plumbr Agent to a different application server or a standalone program, make the necessary adjustments. 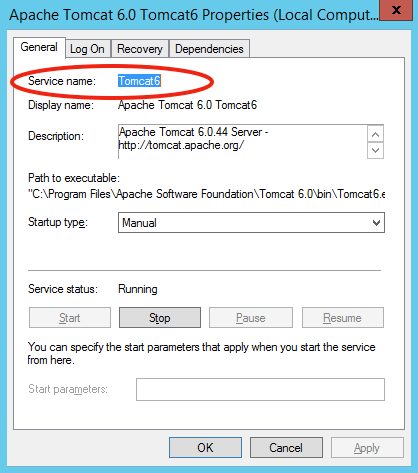 If the Tomcat is embedded into some third-party product, is launched as a service, but does not have a corresponding shortcut to the configuration window anywhere under Programs, then the service configuration can be accessed as follows (see this document for more details:https://tomcat.apache.org/tomcat-6.0-doc/windows-service-howto.html). 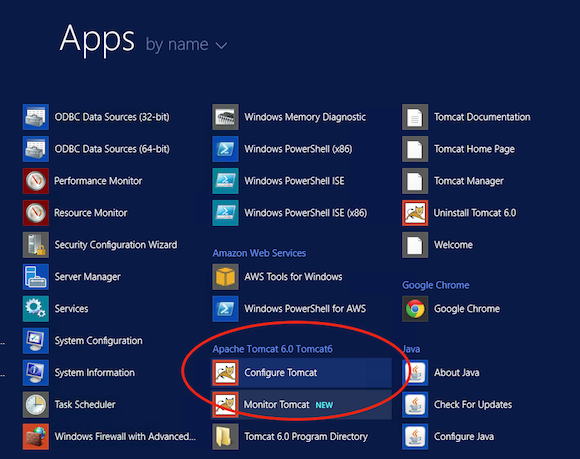 In the home folder of the 3rd party software, which includes Tomcat, find a file called tomcat6w.exe and double click it to launch. This will open the Configuration window shown before. This will open the required configuration window.